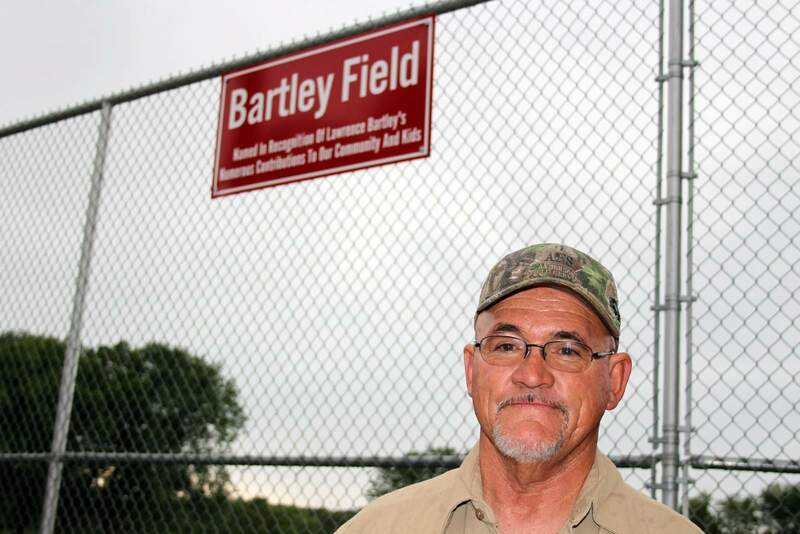 The Town of Ignacio has renamed the ballpark in Shoshone Park in honr of Lawrence Bartley, who has served on the Ignacio Town Board for 22 years. IGNACIO – Trustees of the Ignacio Town Board unleashed a “gotcha” on one of their former members. Using an excuse to get Lawrence Bartley to come to the June town board meeting, they then read a proclamation naming the baseball field in Shoshone Park in his honor after serving as a town trustee for 22 years. 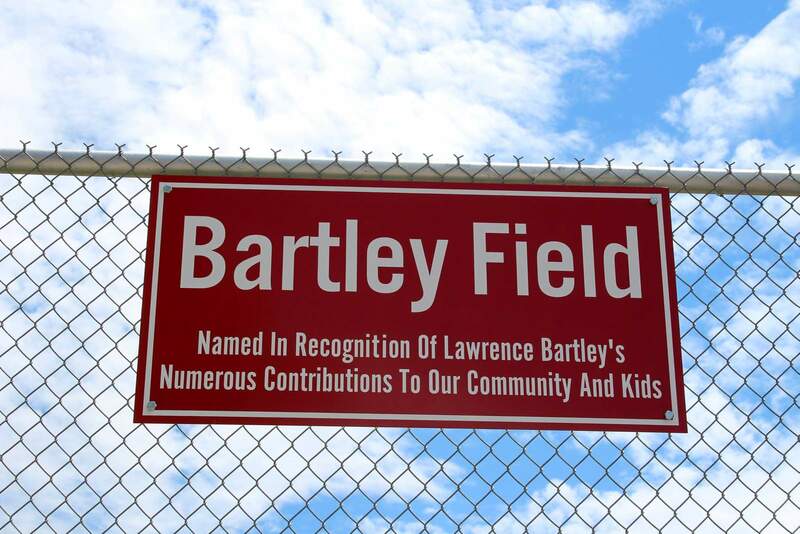 A sign reading “Bartley Field” now hangs on the park fence. Baseball is one of Bartley’s passions, and he has coached his children since the youngest was 3 years old and the oldest was 7, he said. Now he is passing on his love for the game to his 12 grandchildren. Bartley said he’s proud of his years of service to the town, as well, particularly in the past few years, when he and other trustees, whom he described as “good members” of the board, have been able to work well with the town’s interim manager, Mark Garcia. Bartley Field is the home of youth baseball programs in Shoshone Park in Ignacio. This spring, he decided it was time to step down. For the first time in two decades, he did not submit his name as a trustee candidate. “The time, energy, thought and care provided by Lawrence to Town of Ignacio staff and elected officials has resulted in enormous benefit to the town, businesses and citizens of Ignacio,” read the proclamation from the board, which was signed by Mayor Stella Cox, Mayor Pro Tem Alison deKay, and trustees Tom Atencio, Edward Box, Dixie Melton, Sandra Maez and Sharon Craig. deKay noted at an earlier town board meeting that it was difficult to keep the proclamation under wraps to try to surprise Bartley.